Dubai, UAE, June 27, 2018: Siemens has received an order for three SGT5-4000F gas turbines from United Arab Emirates (UAE). The turbines will be used in Unit H Phase 4 of the Al Aweer power plant complex which is located approximately 35 kilometers from downtown Dubai. DEWA has awarded the project EPC contract to Siemens in a consortium led by the Egypt-based company El Sewedy Electric Co SAE (SWDY.CA) through its subsidiary Elsewedy Power. With an electrical generating capacity of about 815 megawatts (MW), the turbines will increase the total output of the power plant complex to more than 2.8 gigawatts (GW). The commercial commissioning of the three gas turbine trains is scheduled for spring 2020. 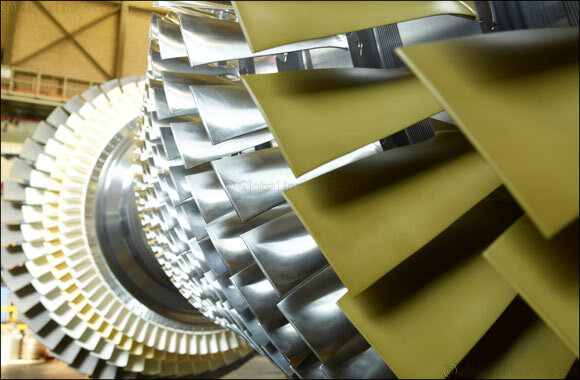 Siemens' scope of supply encompasses three SGT5-4000F gas turbines, three SGen5-1200A generators and the control system SPPA-T3000 as well as assembly and commissioning on site. As a peak load power plant, the new Unit H Phase 4 with its latest F-class gas turbine technology is being planned mainly to cover a particularly high energy demand in the Emirate’s hot summer months, and during the upcoming EXPO 2020 exhibition. With this order Siemens is securing its market position as the leading technology supplier to DEWA. Around two-thirds of DEWA’s total installed power plant capacity, amounting to approximately 10.2 gigawatt (GW), is based on Siemens technology.